A young woman (Candace Hilligoss) in a small Kansas town survives a drag race accident, then agrees to take a job as a church organist in Salt Lake City. En route, she is haunted by a bizarre apparition that compels her toward an abandoned lakeside pavilion. 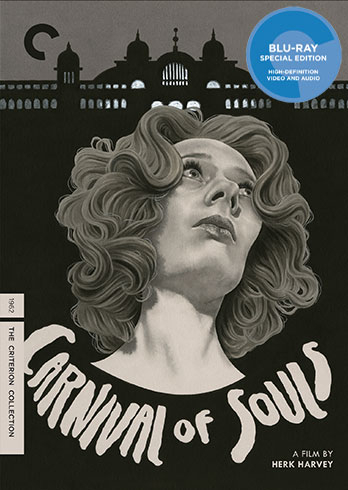 Made by industrial filmmakers on a small budget, the eerily effective B-movie classic Carnival of Souls was intended to have “the look of a Bergman and the feel of a Cocteau”—and, with its strikingly used locations and spooky organ score, it succeeds. Herk Harvey’s macabre masterpiece gained a cult following on late-night television and continues to inspire filmmakers today.